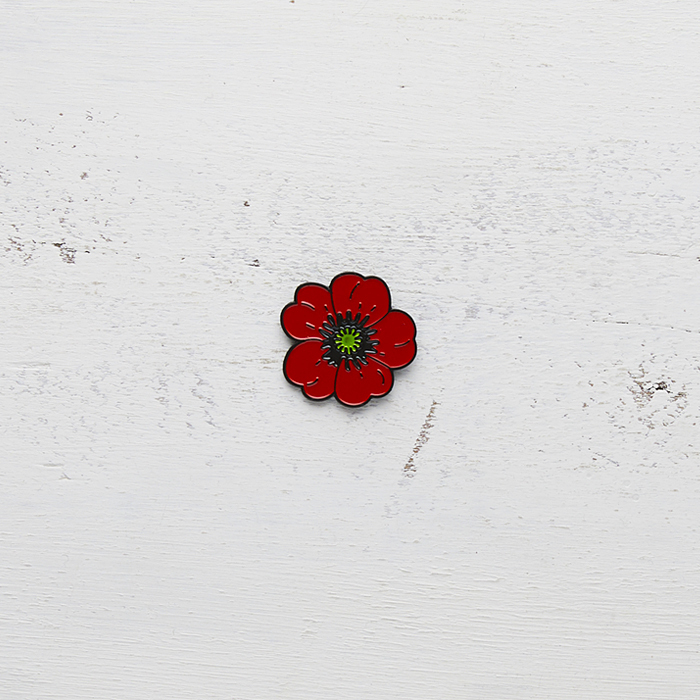 Exclusive premium quality enamel pin, inspired by Susan O'Connor's 'Elizabethan Botanicals: Poppies and Peas'. 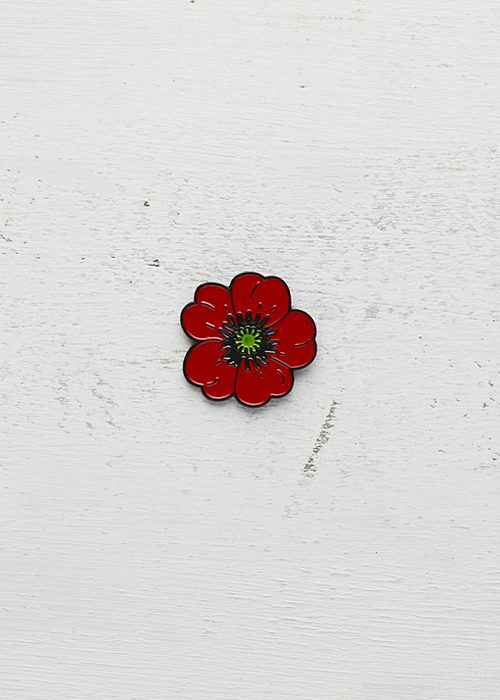 To celebrate the 10th Beating Around the Bush needlework convention, a special collectors edition enamel pin was released. 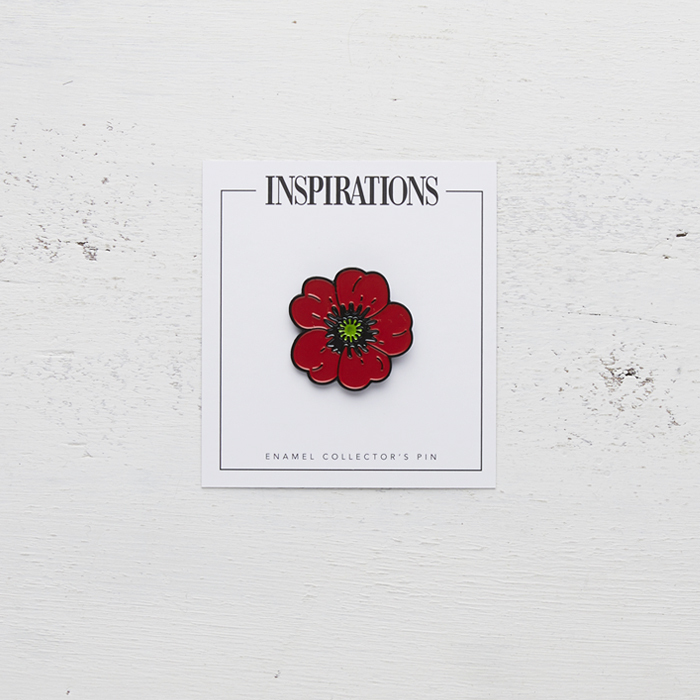 The red poppy flower featured as a theme throughout the event and was inspired by the project 'Elizabethan Botanicals: Poppies and Peas' taught at the convention by the designer Susan O'Connor. 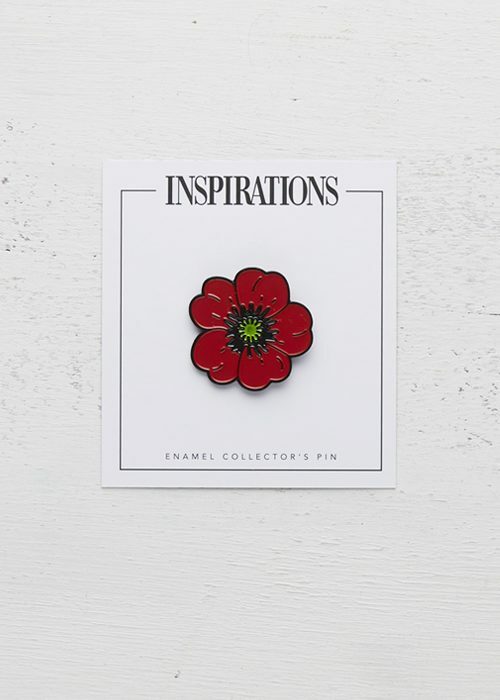 The Poppy enamel pin is part of a limited collection of pins released by Inspirations based on needlework projects.